Can your view of external factors affecting human flourishing be summed up in a collection of quotes? Just as sunshine, water and nutrients are necessary for plants to flourish, so too are external factors necessary for human flourishing. Aristotle was criticized by some other ancient Greek philosophers for holding that view, but it is hard to see how it could be contentious if human flourishing is viewed as the exercise of practical wisdom to pursue goals that each individual values in the circumstances in which they find themselves. The extent that we flourish - the quality of our lives - is not entirely divorced from the outcomes of our efforts to obtain the goods we value. As in the preceding post, which focused on the internal (personal development) aspects of human flourishing, the quotes I have selected below have been chosen on the basis that they support what I hope is a coherent set of propositions about external factors affecting individual human flourishing. 1. Human nature is probably shaped by multi-level evolutionary processes. “Natural selection works at multiple levels simultaneously, sometimes including groups of organisms. I can’t say for sure that human nature was shaped by group selection – there are scientists whose views I respect on both sides of the debate. But as a psychologist studying morality, I can say that multilevel selection would go a long way toward explaining why people are simultaneously so selfish and so groupish.” Jonathan Haidt, The Righteous Mind, 2012, p 218. 2. There seems to be broad agreement about virtues among almost all religious and philosophic traditions. “Led by Katherine Dahlsgaad, we read Aristotle and Plato, Aquinas and Augustine, … Buddha, La-Tze, … the Koran, Benjamin Franklin … some two hundred virtue catalogues in all. To our surprise, almost every single one of the these traditions flung across three thousand years and the entire face of the earth endorsed six virtues: … wisdom, courage, humanity, justice, temperance, and transcendence.” Martin Seligman, Authentic Happiness, 2002, p 132-3. 3. 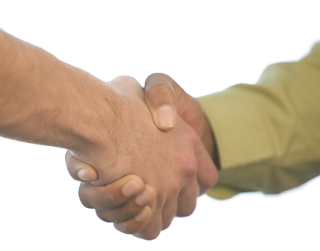 Our social interactions encourage us to judge our own conduct as impartial spectators. “Every man is, no doubt, by nature, first and principally recommended to his own care; and as he is fitter to take care of himself than any other person, it is fit and right that it should be so. … If he would act so as that the impartial spectator may enter into the principles of his conduct, which is what of all things he has the greatest desire to do, he must … humble the arrogance of his self-love, and bring it down to something that other men can go along with. … In the race for wealth, and honours, and preferments, he may run as hard as he can … in order to outstrip his competitors. But if he should jostle, or throw down any of them, the indulgence of the spectators is entirely at an end. It is a violation of fair play that they cannot admit of.” Adam Smith, The Theory of Moral Sentiments, 1759/1984, II.ii.2.1. 4. Freedom was made possible by the evolution of abstract rules of conduct which enabled mutually beneficial transactions among strangers. The great change which produced an order of society … for the preservation of which he had to submit to learnt rules which were often contrary to innate instincts, was the transition from the face-to-face society, or at least of groups consisting of known and recognizable members, to the open abstract society that was no longer held together by common ends but only by the same abstract rules.” Friedrich Hayek, Law, Legislation and Liberty, 1982, VIII, p 163-4. 5. The concept of natural law was important in opening the way to recognition of the right to liberty. “The state of nature has a law of nature to govern it, which obliges every one: and reason, which is that law, teaches all mankind, who will but consult it, that being all equal and independent, no one ought to harm another in his life, health, liberty, or possessions … (and) when his own preservation comes not in competition, ought he, as much as he can, to preserve the rest of mankind, and may not, unless it be to do justice on an offender, take away, or impair the life, or what tends to the preservation of the life, the liberty, health, limb, or goods of another.” John Locke, The Two Treatises of Civil Government, 1689, II, 6. 6. The “progress of society toward real wealth and greatness” is hindered by restrictions on natural liberty. “All systems either of preference or of restraint … being thus completely taken away, the obvious and simple system of natural liberty establishes itself of its own accord. Every man, as long as he does not violate the laws of justice, is left perfectly free to pursue his own interest in his own way, and to bring forth both his industry and capital into competition with those of any other man, or order of men.” Adam Smith, Wealth of Nations, 1776, IV.ix,50,51. 7. The economic betterment that has vastly improved the lives of an increasing proportion of the world’s population over the last 300 years can be attributed to the ‘bourgeois deal’. “Then after 1798 … life in quite a few places got better. Slowly, and then quickly, and by now with unstoppable, ramifying worldwide force, it got much better. Material life got better not merely for Europeans or imperial powers or Mr Moneybags, but for ordinary people from Brooklyn to Beijing. The real engine was the expanding ideology of liberty and dignity that inspired the proliferating schemes of betterment by and for the common people. Liberty and dignity for ordinary projectors yielded the Bourgeois Deal: ‘You accord to me, a bourgeois projector, the liberty and dignity to try out my schemes in voluntary trade, and let me keep the profits, if I get any, in the first act – though I accept, reluctantly, that others will compete with me in the second act. In exchange, in the third act of a new, positive sum drama, the bourgeois betterment provided by me (and by those pesky, low quality, price-spoiling competitors) will make you all rich.’ And it did.” Deirdre McCloskey, Bourgeois Equality, 2016, p 21. 8.. Economic betterment has been associated with the emergence of emancipative values, and social movements to promote civic entitlements. “Most people in … [technologically advanced] societies have a high living standard, are well educated, and can easily connect to like-minded others, irrespective of locality. In these situations, and in many societies approaching these conditions, people recognize the use of universal freedoms and value them accordingly: emancipative values emerge. Inspired by emancipative values, people take action on behalf of freedoms. This is evident in all kinds of social movement activity, the most vigorous of which voice emancipative goals: people-power movements, equal opportunity movements, civil rights movements, women’s rights movements, gay rights movements, children’s rights movements, and so forth. … This is a virtuous circle that describes thriving societies.” Christian Welzel, Freedom Rising, 2013, Loc 9324. 9. Classical liberalism is not an all-embracing ethic. “As liberals, we take freedom of the individual, or perhaps the family, as our ultimate goal in judging social arrangements. Freedom as a value in this sense has to do with the interrelationships among people; it has no meaning whatsoever to a Robinson Crusoe on an isolated island (without his Man Friday). … Similarly, in a society freedom has nothing to say about what an individual does with his freedom; it is not an all-embracing ethic. Indeed, a major aim of the liberal is to leave the ethical problem for the individual to wrestle with.” Milton Friedman, Capitalism and Freedom, 1962, p 12. 10. Individual rights answer the question of how it can be possible for the flourishing of individual humans to be self-directed without conflicting. “Individual rights are an ethical concept different from those concepts generally found in normative ethics. They are not needed in order to know the nature of human flourishing or virtue, or our obligations to others, or even the requirements of justice. … Rather, individual rights are needed to solve a problem that is uniquely social, political and legal. … How do we allow for the possibility that individuals might flourish in different ways … without creating inherent moral conflict in … the structure that is provided by the political/legal order? How do we find a political/legal order that will in principle not require that the human flourishing of any person or group be given structural preference over others? How do we protect the possibility that each may flourish while at the same time provide principles that regulate the conduct of all?” Douglas Rasmussen and Douglas Den Uyl, Norms of Liberty, 2005, p 78. 11. The liberal order can only succeed if sufficient people want to be free to make their own choices, and are prepared to enter into relationships with others on the basis of fair dealing, reciprocity and mutual respect. Properly designed institutional-constitutional safeguards against deviations from the norms can be effective … only in settings where the share of participants who might behave in violation of the norms of autonomy and reciprocity remain relatively small. Generalized or widespread failure of persons to adhere to these norms, along with widespread recognition that others also disregard the standards, will ensure that the liberal order itself must fail, quite independently from any institutional safeguards.” James Buchanan, Why I, Too Am Not a Conservative, 2005, pp 26, 28. Labels: Big government, capability and opportunity, Economic development, Economic freedom, emanicipative values, Ethics and moral instincts, Political institutions, Rationality of voters, slavery, Why freedom? Can your view of human flourishing be summed up in a selection of quotes? The quotes selected for this post are related specifically to individual flourishing or personal development. I will follow this up later with a selection of quotes relating to the social conditions that favour human flourishing. Rather than selecting the most inspirational quotes I can think of I have selected quotes that seem to support what I hope is a coherent set of propositions about human flourishing. 1. Happiness is the final end to which humans are naturally attracted. Now such a thing happiness [living well and doing well], above all else, is held to be; for this we choose always for itself and never for the sake of something else …” Aristotle, Nicomachean Ethics, Book 1, 7. 2. Reflection tells us that there is more to happiness than having a successful life. “For both ancients and moderns, the starting point for considering happiness is a conventionally successful life which the agent finds satisfactory. … We have no concept which readily covers both the unreflective notion of success in life from which we start, and the revised notion of success in life with which we end if and when we have appropriately revised our priorities, and given morality its appropriate place in our life. The fact that we lack such a concept doubtless owes something to our tendency to see the pursuit of morality as being always likely to be in tension or conflict with the pursuit of other ends.” Julia Annas, philosopher, The Morality of Happiness, 1993, p 453-4. 3. Human flourishing is the exercise of practical reason to actualize human potentialities. “Ontologically considered, human flourishing is an activity, an actuality, and an end that is realized (or a function that is performed) through the self-directed exercise of an individual’s rational capacity. … As an actuality, human flourishing consists of activities that both produce and express in a human being an actualization of potentialities that are specific to the kind of living thing a human being is and that are unique to each human being as an individual.” Douglas Den Uyl and Douglas Rasmussen, philosophers, The Perfectionist Turn, 2016, p 45. 4. We feel elevated when we contemplate the natural beauty of our world and the kindness of other humans.. Many words have been written to express such thoughts, but the those that come to mind at the moment are the lyrics of “What a Wonderful World”, a song written by Bob Thiele (as "George Douglas") and George David Weiss, first recorded by Louis Armstrong, and released in 1967. You can view the lyrics and listen here. 5. We are responsible for setting the internal rules that determine our behaviour. “The brain is an evolved system, a decision-making device that interacts with its environment in a way that allows it to learn rules to govern how it responds. It is a rule-based device that works, fortunately, automatically.” Michael Gazzaniga, neurologist, The Ethical Brain, 2005, loc 1278. 6. Individuals flourish as their reason and emotions learn to work in harmony. “We sometimes fall into the view that we are fighting with our unconscious, our id, or our animal self. But really we are the whole thing. 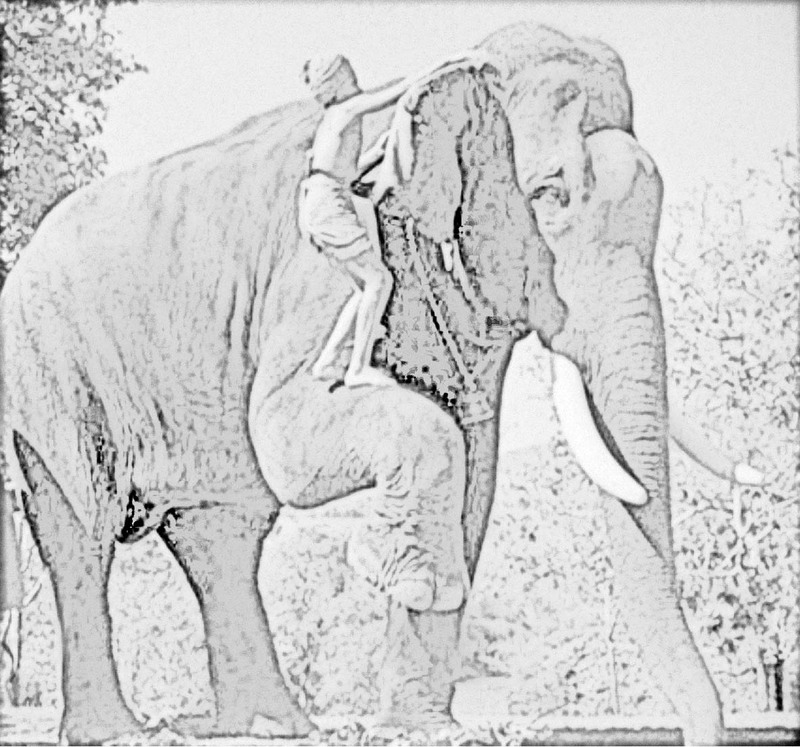 We are the rider, and we are the elephant. Both have their strengths and special skills” p 22. 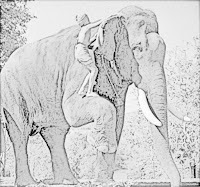 “Reason and emotion must work together to create intelligent behaviour, but emotion (a major part of the elephant) does most of the work” p 13. “virtue resides in a well-trained elephant” p 160. Jonathan Haidt, psychologist, The Happiness Hypothesis, 2006. 7. Unpleasant thoughts and feelings are a natural part of life. “So here is the happiness trap in a nutshell: to find happiness, we try to avoid or get rid of bad feelings – but the harder we try, the more bad feelings we create” p 40. “As you open up and make space for these feelings, you will find they bother you much less, and they ‘move on’ much more rapidly, instead of ‘hanging around’ and disturbing you” p 45. “A rich, full and meaningful life comes about through accepting your thoughts and feelings instead of fighting them, and taking effective action, guided by your deepest values” p 74. Russ Harris, MD, The Happiness Trap, 2007. 8. Grant yourself the freedom to pursue your goals. “The easiest way to convince yourself that you don’t have mobility is to form ironclad concepts of yourself and how you do things … . Freedom is about realizing that you always have the choice to start moving in any desired direction regardless of your past.” Timothy Gallwey, coach, The Inner Game of Work, 2000, p 126. 9. You get to choose whether to be content with past achievement or to stoke motivation. “The paradox that frees you from all the prisons of self and the worries about image and approval is that the highest development of self is self-forgetfulness. When you fully integrate the awareness that it’s not about you, your focus shifts. Now you realize it’s about the experience, the contribution, the exploration, the discovery, and transformation. Now you’re free to be fully present without double-tracking in your head worrying about whether you have their approval.” Michael Hall, psychologist, Unleashed, 2007. Labels: Autonomy and responsibility, Ethics and moral instincts, Identity, inner freedom, Practical wisdom, unhappiness and depression, What is happiness? Can creative destruction be an inclusive process? 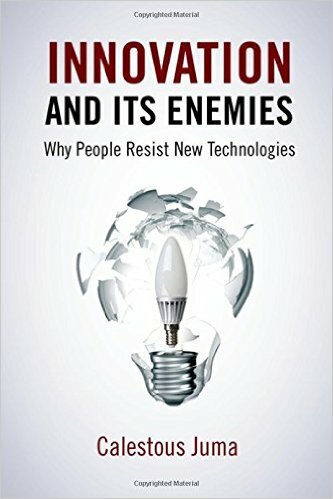 This question is prompted by my reading of Innovation and Its Enemies, Why people resist new technologies, a recently published book by Calestous Juma. The author takes much of his inspiration from Joseph Schumpeter, who famously described the innovation process as one of creative destruction. Juma argues that new controversial technologies are likely to enjoy more local support “where the business models include provisions for inclusive innovation”. I will explain later. As the title suggests, the book explores resistance to introduction of new technologies. It does this mainly by telling the stories of nine innovations: coffee, printing of the Koran, margarine, farm mechanization, AC electricity, mechanical refrigeration, recorded sound, transgenic crops, and AquaAdvantage salmon. Anyone who has an interest in innovation is likely to enjoy reading the stories presented in this book. Without reading a book like this one it would be difficult to fully appreciate that goods, like coffee, that are now commonplace, were once highly controversial innovations. The stories told in the book make me wonder whether future generations will look back with bemusement about my concerns about artificial intelligence and neural lace. Although Calestous Juma delves into history in these case studies, he does not seek to provide much historical perspective on changing societal attitudes toward innovation. I doubt whether he believes that we are living in a time when opposition to innovation is particularly great by historical standards, but his views on such matters are not obvious from this book. Readers need to look elsewhere (e.g. The Enlightened Economy, by Joel Mokyr) for an understanding of the industrial enlightenment that began to occur in western Europe around 300 years ago. The author’s neglect of this big picture of attitudinal change is surprising in view of his acknowledgement that he obtained “early inspiration” from an article by Joel Mokyr on innovation and its enemies. “Many of these debates over new technology are framed in the context of risks to moral values, human health, and environmental safety. But behind these genuine concerns often lie deeper, but unacknowledged, socioeconomic considerations. This book demonstrates the extent to which those factors shape and influence technological controversies, with specific emphasis on the role of social institutions”. 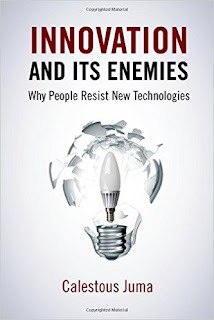 One of the things the book demonstrates is that resistance to innovation is often fuelled by people who have reason to fear competition from new products and new ways of doing things. Those faced with potential for economic loss have used every trick available in an attempt to protect themselves from the consequences of innovation. It is certainly true that many members of the public have genuine concerns about the potential impact of innovations on public morals, health and the environment, but the losers from change often exploit such concerns mercilessly to persuade governments to protect their interests. Thankfully, since the industrial enlightenment, the efforts of the losers to protect themselves from new competition have not been particularly successful. “Managing the interactions between change and continuity remains one of the most critical functions of government”. “Political leadership on innovation and the existence of requisite institutions of science and technology advice are an essential aspect of economic governance. Such institutions need to embody democratic practices such as transparency and citizen participation that accommodate diverse sources of expertise”. “What may appear as a legitimate appeal for the right to know may in fact be driven by an effort to brand a product so it can be rejected by consumers for protectionist reasons”. Calestous Juma suggests several ways in which innovation could be made a more inclusive process: greater involvement of public sector institutions in providing training in the emerging fields; creation of joint ventures; equitable management of intellectual property rights; segmentation of markets to enable the technology to be used for non-competitive products, and improvement of the policy environment to support long-term technology partnerships. Smoke and mirrors may help political magicians to appear to be ‘inclusive’, but they cannot alter the fact that some people are adversely affected by innovations that provide widespread benefits to the broader community. In her book, Bourgeois Equality, discussed on this blog a couple of months ago, Deirdre McCloskey uses the term, ‘bourgeois deal’ to refer to societal acceptance of innovations that compete with and displace old ways of doing things in exchange for widespread improvements in living standards. I doubt whether ‘inclusive’ innovation policies - even if designed by intelligent and well-meaning people - can do much to help sustain public support for the bourgeois deal. Ongoing support for the bourgeois deal depends on expectations that innovation will continue to generate widespread improvements in living standards. "I appreciate your thoughtful review of my book. You raise important points that need addressing. First, you wondered why I did not address the question of whether public attitudes on new technologies have changed over the centuries. I address this issue by showing that the public responses to new technologies appear to be conserved over the 600 years that the case studies cover. At face value this may appear not to be the case because of the remarkable proliferation of technology into every aspect of human life. I think that the change has been in the availability of technologies due to the exponential growth in science, technology and engineering. Public perception of technological risks has not changed, mostly because as humans we have not changed in any discernible way over the last 600 years. We have not found a way to reprogram the amygdala, to simplify a little. Now to your more complex question: is inclusive innovation compatible with creative destruction? My answer is yes. In many cases disruptions, to use the term in a more prosaic way, is largely a result of the business model used. There are two examples that illustrate this. The introduction of mobile phones in Africa was by any measure disruptive. But it was also inclusive because from the outset the focus was to ensure that the poor had access to the service. Inclusive innovation was achieved through low-cost handsets and pre-payments for airtime. The early concern that mobile phones would be toys for the rich never came to be. The second example involves the strategies adopted under the Montreal Protocol to develop alternatives to the ozone-depleting substances. In this case those firms such as DuPont that were likely to be disrupted by alternative chemicals were included in new research efforts. The Protocol went further and introduced an amendment that promoting the sharing of the new technologies with developing countries. Both examples involved private-public partnerships that were committed to promoting inclusive in innovation. In both cases incumbent technologies were displaced. Both case provide lessons of inclusive innovation. We can trace other examples of inclusive innovation in history. We have café au laite, as the name advertises, because of compromise to create a recombinant product. Proposals for co-existence are not new. It was tried, without success, to leave a niche for horses in American agriculture in light of the relentless march of tractors. The proposal came too late and the superiority of tractors over horsepower illustrates that there are many areas of technological transformation where inclusive innovation is not a viable option. In other cases there has been a long period of co-existence between butter and margarine. This wasn't a result of an inclusive innovation strategy but it offers some lessons worth considering."